Everything you need for board game fun! 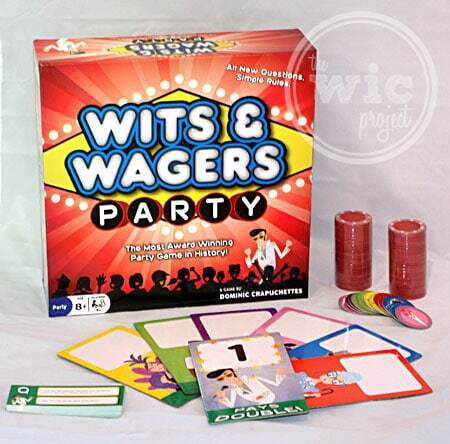 Wits & Wagers Party combines your brain power with the thrill of the bet. 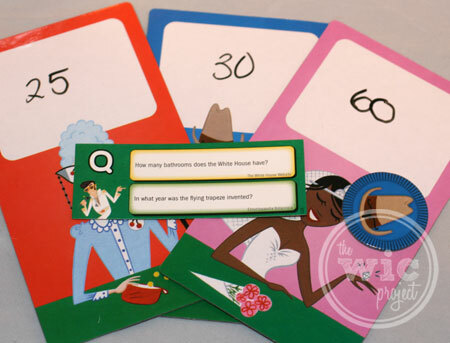 Gameplay is simple; Wits & Wagers poses a series of trivia questions. Each player (Wits & Wagers Party can have up to 6 players or teams) writes down their best answer for that question and then everyone places their guess in front of them. With everyone’s answers shown, players then place their bets on who they think is closest to the right answer without going over. The person who bets on the closest answer wins the bet and wins poker chips. The person or team with the most poker chips after 7 questions wins the game. Question: How many bathrooms does the White House have? Not only is this a fun game that can get you thinking, but I love how you can use a betting strategy to get more chips. For example, if Uncle Bob is a Civil War historian but doesn’t know movies, you can bet on his answer for historical facts but someone else’s for film questions. You theoretically could win this game without getting any of the answers right, just be strategically betting on the other person’s strengths. This is a great game to play with older kids (ages 8+) or at your next house party. Everyone can get involved, engaged, and place their bets! If you’d like to buy Wits & Wagers Party, you can find it at your nearest Walmart. One winner will receive a copy of Wits & Wagers Party! Great game too play something new I never played could be alot of fun it seems. We have a couple of friends that we hang out with at least once a month and we’re just getting started on games now. This looks like a super party game that could bring lots of laughs. We like playing games that make you think and placing bets sounds fun too. We love playing games… as a family and with friends. 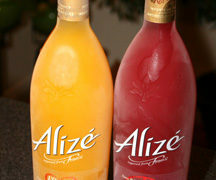 I would love to have this to add to our collection. I love games with random questions like this one has. I love random facts! =) Great game! This sounds like a fun game!!! Sounds like a great use for my fount of useless knowledge. It sounds like this game would appeal to older kids and adults, which is sometimes hard to fine in one game. I really like that and I like that you have to have strategy and really think. It’s not just a roll the dice and move your pawn type game. Would love to try the games! I love that you can have up to 6 players. You could win this game without getting any of the answers right, just be strategically betting on the other person’s strengths. I like that it’s a good family game with kids as young as 8. It sounds like a fun new party game to try! I THINK THIS WOULD BE A GOOD GAME TO BLEND IN OUR FAMILY GET TOGETHER’S. THANKS SO MUCH!!! I like that you have to use your brains to play and I like that. I like the aspect of using your knowledge of others strengths and weaknesses to get more chips for yourself. I like that anyone can play so it’d be great for my party! Because we love to play games and this one sounds fun! I am a huge trivia buff so this is perfect for me!!! This would be a fun game to play with my friends! I love playing games with friends! And this seems to be a fun intelligent game. 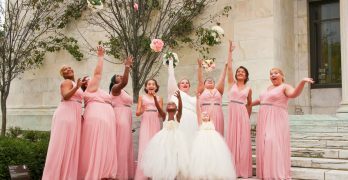 I like that is looks good for a group. My mom’s family always likes to play games and we need to be able to involve a lot of people. I have been looking for a game to get for the whole family. With a range of ages this can be difficult, but this game is perfect.